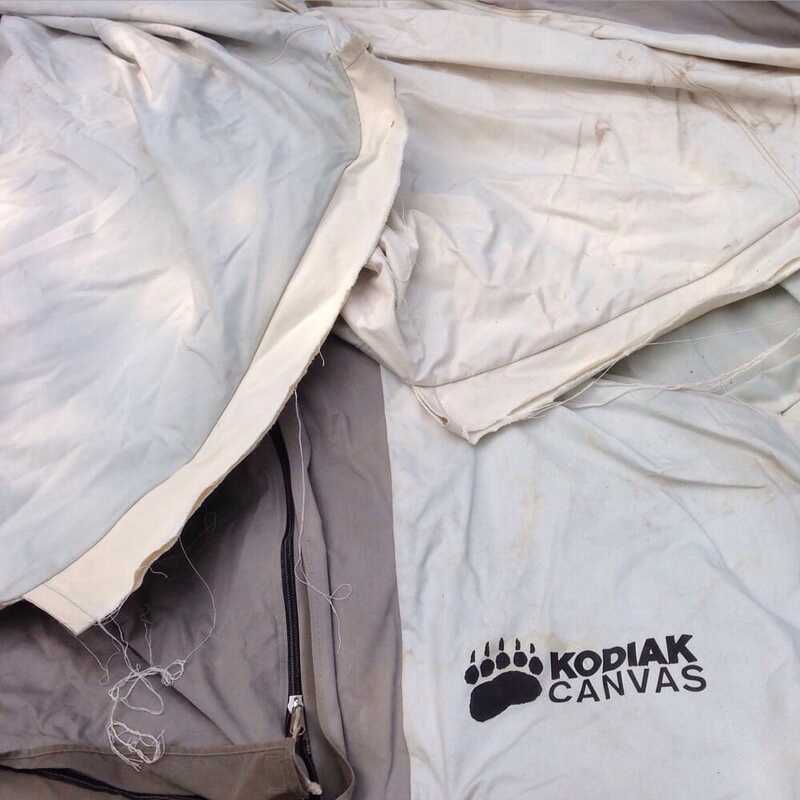 Rips, holes, and zipper fails are a fact of life with our outdoor gear. But this doesn’t mean the end for an otherwise functional item. Many options exist nowadays for repairing gear, like Patagonia’s Worn Wear program or the cool Repair Lair store in Minneapolis, Minnesota. Joining the ranks of these rapidly growing gear repair services is Bend-based Rugged Thread. No one wants to spend hard-earned cash replacing a piece of gear that can be easily fixed by someone with the know how. Nobody knows this better than Rugged Thread founder, Kim Kinney. After leaving school in Minnesota to become a ski bum out west, she landed a great job at the Little Cottonwood Tailor Shop at Snowbird, Utah. Besides skiing every day, she trained in the classical art of tailoring with a ski resort twist. Since then, she’s worked freelance in the outerwear industry, in-house for one of Utah’s local outerwear brands, Tsunami, and built and operated a successful retail, repair and custom ski clothing manufacture facility, Wasatch Design, at Snowbird Ski Resort in Utah. Upon moving to Bend, Oregon a few years back, she decided to again open her own repair shop — Rugged Thread was born. At the repair facility, the team will patch, stitch, and seam tape outerwear, ski, snowboard, snowmobile, and motorcycle jackets and pants. They repair down jackets and sleeping bags, tents and screens, pop-up tent trailer zippers, hammocks, and sails, and repair and make custom sailboat covers. Pretty much anything you can think of. Kinney recently won an award at the Venture Out festival held by Bend Outdoor Worx. She now has $75,000 to help further fund the growth of the business. The zipper recently busted on my favorite Helly Hansen down jacket so I plan to send that in to get repaired. I am excited to have it working again in time for the upcoming winter season. If you read any of the reviews online or on the Rugged Thread Facebook page, you will know that you can trust Kinney and her team with your favorite piece of gear.